Tanoak trees (Lithocarpus densiflorus syn. Notholithocarpus densiflorus), also called tanbark trees, are not true oaks like white oaks, golden oaks or red oaks. Rather, they are close relatives of the oak, which relationship explains their common name. Like oak trees, the tanoak bears acorns that are eaten by wildlife. Read on for more information about the tanoak/tanbark oak plant. 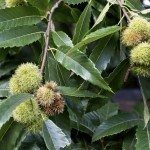 What is a Tanoak Tree? Tanoak evergreen trees belong to the beech family, but they are considered an evolutionary link between oaks and chestnuts. The acorns they bear have spiny caps like chestnuts. The trees are not small. They can grow to 200 feet tall as they mature with a trunk diameter of 4 feet. Tanoaks live for several centuries. Tanoak evergreen grows in the wild on the West Coast of the country. The species is native to a narrow range from Santa Barbara, California north to Reedsport, Oregon. You can find the most specimens in the Coast Ranges and the Siskiyou Mountains. A persistent, versatile species, tanoak grows a narrow crown when it is part of a dense forest population, and a wide, rounded crown if it has more room to spread out. It can be a pioneer species – rushing in to populate burned or cut areas – as well as a climax species. If you read up on tanoak tree facts, you find that the tree can occupy any crown position in a hardwood forest. It can be the tallest in a stand, or it can be an understory tree, growing in the shade of loftier trees. Tanoak is a native tree so tanoak tree care is not difficult. 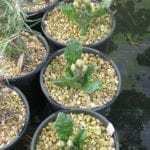 Grow tanoak evergreen in mild, humid climates. These trees thrive in regions with dry summers and rainy winters, with precipitation ranging from 40 to 140 inches. They prefer temperatures around 42 degrees Fahrenheit (5 C.) in winter and no more than 74 degrees F. (23 C.) in summer. Although tanoak’s large, deep root systems resist drought, the trees do best in areas with considerable rainfall and high humidity. They grow well in the areas in which coastal redwoods thrive. 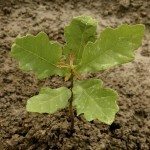 Grow these tanbark oak plants in shady areas for best results. They do not require fertilizer or excessive irrigation if planted appropriately. Read more articles about Tanoak.